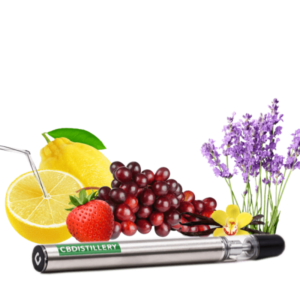 CBDISTILLERY’s 200mg Disposable CBD Vape Pens are configured using high-quality CBD, ABSTRAX Tec oil, and natural flavorings. Brand new CCELL Disposable Vape Pens. They are now an exclusive vendor of CCELL Vape products. CCELL is a disruptive company in the vape industry, revolutionizing the technology behind vaporizing high viscosity oil. Their Disposable Vape Pens are now formulated with ABSTRAX Tec oil which is arguably a better cutting agent. All Natural, Organic and Food Grade, 100% FREE of PG, VG, or MCT, Crafted in ISO Certified Facility, Solvent-less, stem and molecular distillation. Manufactured to the tightest tolerances. Flavors: Grand Daddy Purp, Grape, Lavender Vanilla, Strawberry Lemonade and GG#4.